Greater Washington region Safe Routes to School stories were featured on WAMU Metro Connections today. 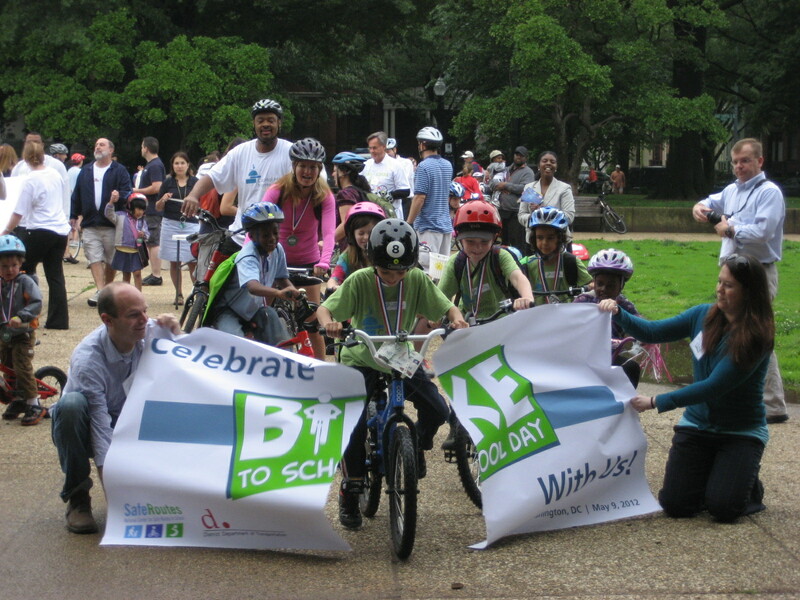 Bike to School Day at Lincoln Park, Washington D.C. The story starts in Washington D.C. with parent advocate Robin Schepper from Murch Elementary. We then hear from Vienna, VA resident Jeff Anderson of Wolfie’s Bike Train. Jeff talks about how his school went from not having bike racks to four bike racks. Jeff’s daughter Laurel also talks about all the benefits of bicycling to school such as saving energy and it is fun of course! John Schlichting who lives in Kentlands, Maryland notes the features such as sidewalks and narrow roads that make walking to school safe in his community. Walking student, Elaina Dietz explains how she safely crosses in the crosswalks but realized if she lived somewhere else, she may not feel safe. Of course we are all part of the solution. As I say at the end of the segment, parents, advocates, transportation, planning and health professionals and schools all have a role to play. Make sure you check our website regularly, sign up for emails, join us on Facebook or follow the network on Twitter (@SafeRoutesDC). Together we can make is safe for all kids to walk or bicycle to school!